Good morning, dear readers! I hope you've already enter my birthday giveaway! 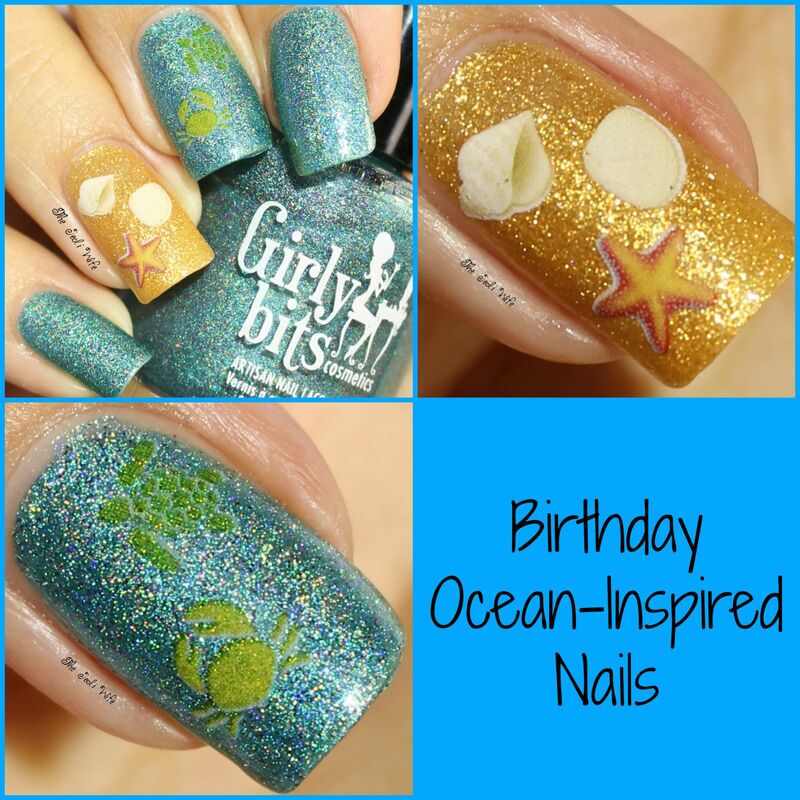 For today's post, I wanted to share the ocean-inspired manicure I created for my birthday. Let's check it out! 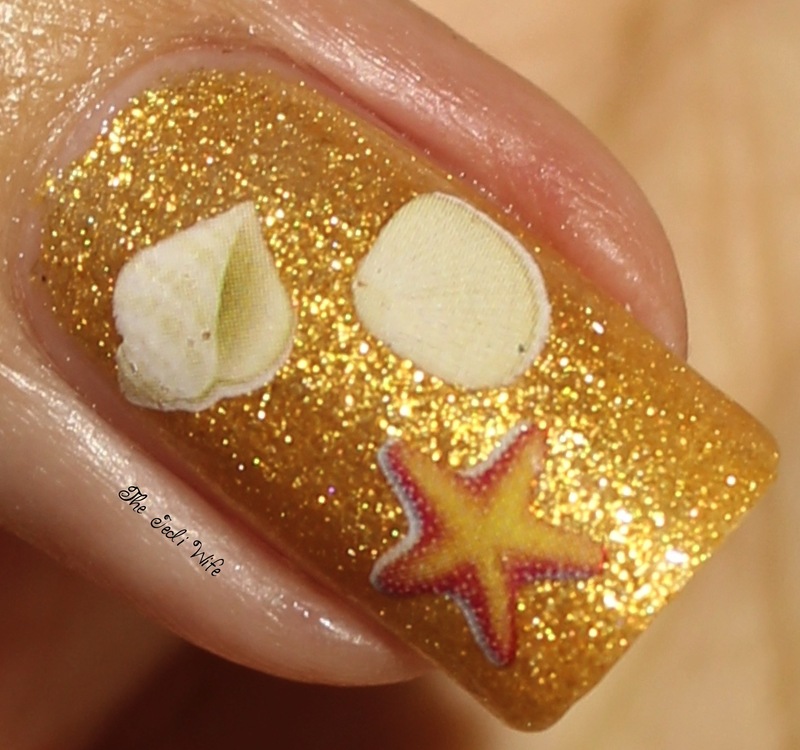 I had something far more elaborate planned for this manicure, but I was met with one fail after another. I wanted to do some stamping, but the colours didn't pop quite as much as I wanted or some of the polishes just aren't cut out for stamping. I decided to forgo the stamping and add different water decals than what is shown, but I discovered they were far too transparent with the blue background. In the end, I decided to play it simple since the more complex design just didn't seem to want to come together for me. 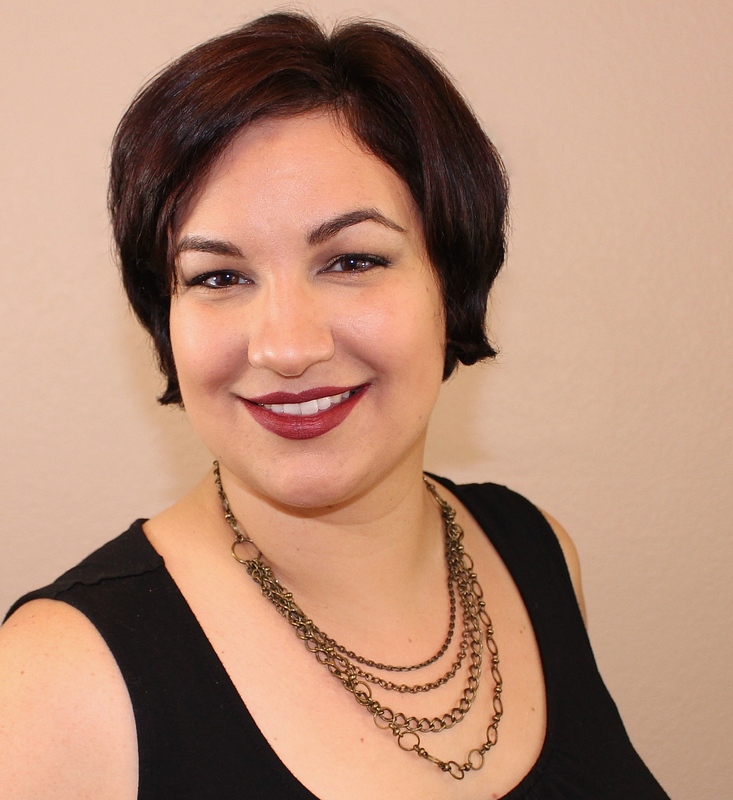 To create this look, I used Girly Bits Cosmetics Get Weaponized and Alter Ego Nail Enamel Ft. Knox Quality Control. 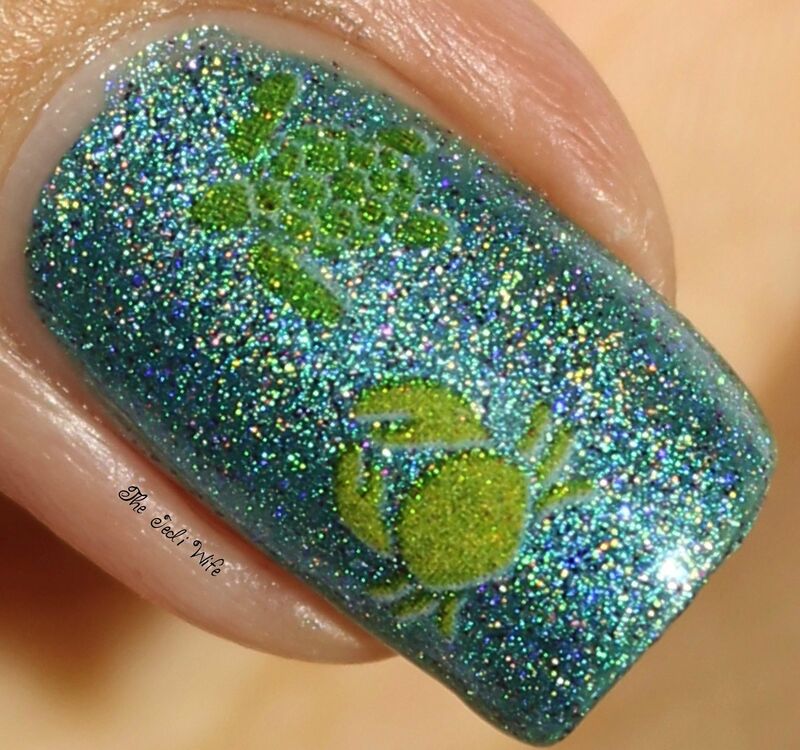 I also used shell and the starfish water decals from Born Pretty Store and crab and sea turtle nail tattoos from Sinful Colors. 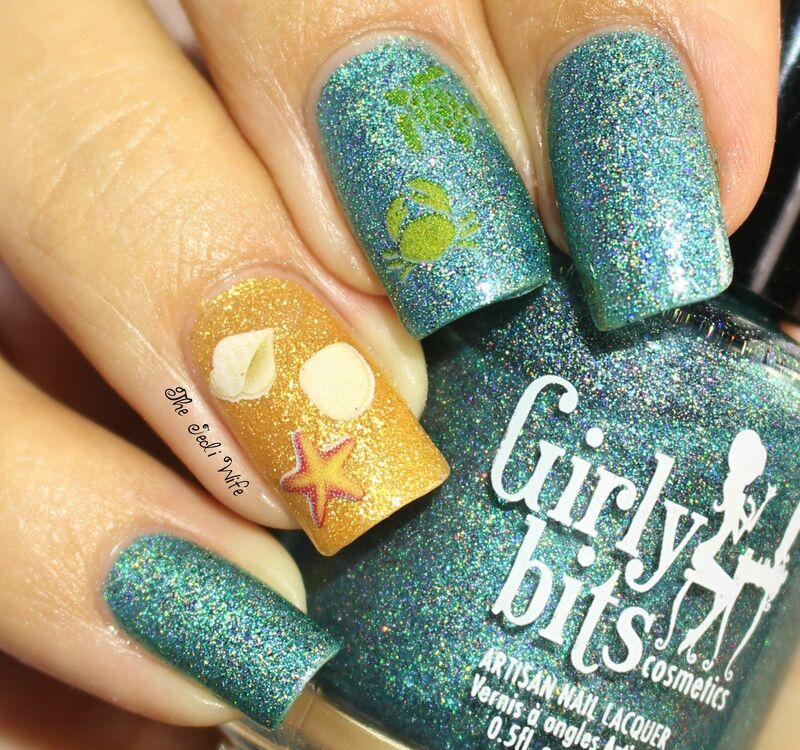 I love the ocean and the beach, and even though this isn't exactly what I had in mind, I'm really enjoying my birthday manicure! I hope you enjoyed today's post, and I hope you have a wonderful day! Happy Birthday! Loving the beach theme! Makes me want summer even more! 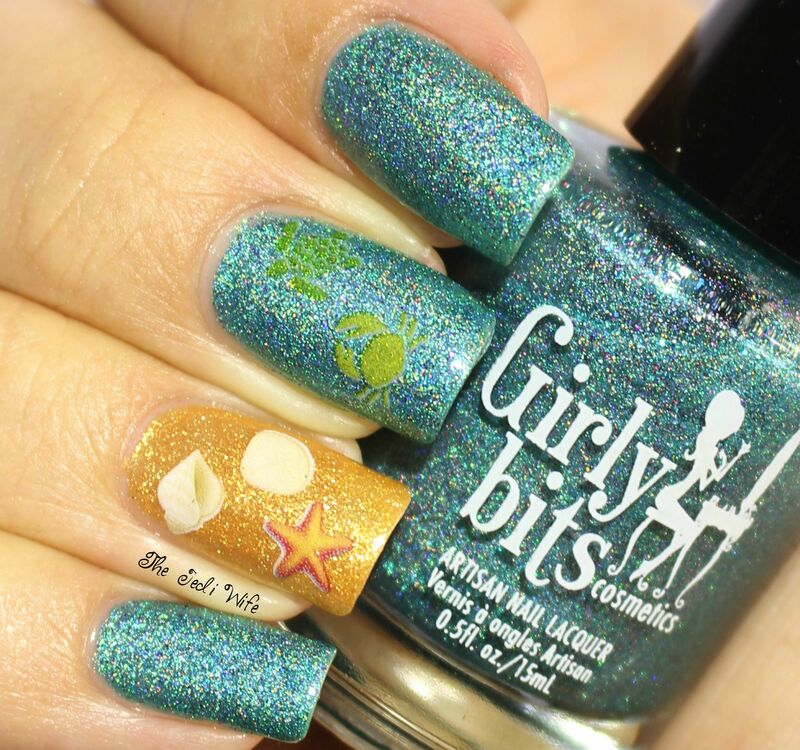 OMG this is gorgeous, gaves me an ocean need!! !